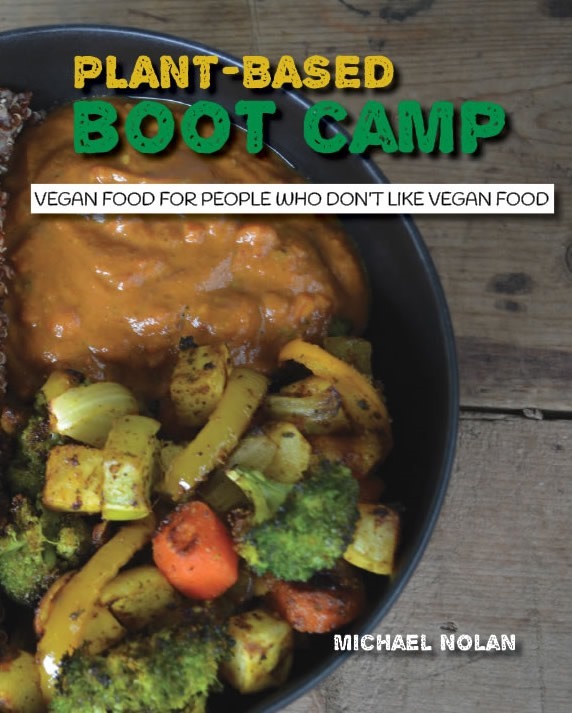 When I went vegan a few months ago, one of the goals I set was to create delicious meat and dairy-free versions of all of my favorite recipes. 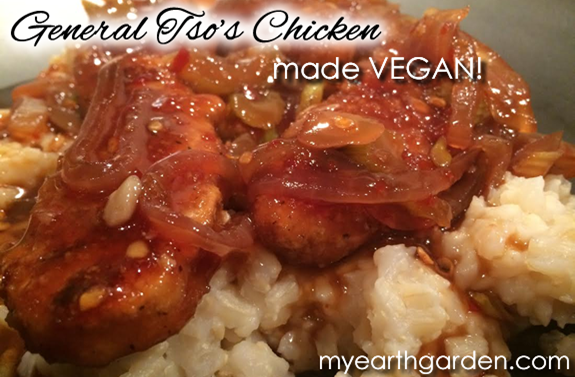 Recently I accomplished my goal with one of my all-time faves, General Tso’s Chicken. This makeover was one of the easiest yet, and it comes together quickly without much effort. The key to the recipe is the sauce, of course. The original version calls for two cups of chicken broth, so I wanted to come up with an alternative that was just as flavorful. Vegetable broth wasn’t an option because that’s not the flavor profile of the dish. I ended up using a combination of water, red wine, and bouillon and couldn’t have been happier with the result. This dish comes together so much faster than the original General Tso’s recipe because I used a ready-made protein replacement. That meant there wasn’t any time needed to cut, coat, and fry the chicken. 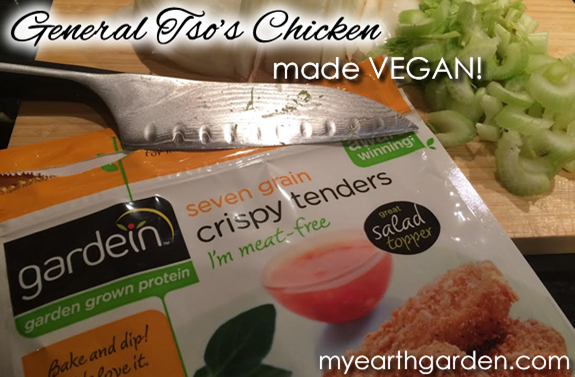 Instead, I used Seven-Grain Crispy Tenders from Gardein, which are oven-ready and completely cooked in 20 minutes. This isn’t a healthy dish by any stretch of the imagination. In fact, it is full of salt and sugar. The key to eating healthier isn’t to completely eliminate things you crave, just to use them as occasional treats instead of dietary staples. I don’t make foods like this every week, or even every month, and I think that allows us to appreciate them even more when I do cook them. Variety is the spice of life, and moderation is the real key to a healthier lifestyle. Prepare tenders according to package directions. Make the sauce by placing for 10 ingredients (through red pepper flakes) in a blender and blending until well-combined. In a large skillet, heat olive oil over medium heat and saute onion and pepper until onions are translucent and peppers are fork tender. Add sauce and cook, stirring constantly, until sauce thickens to desired consistency. Toss tenders in to coat and serve over steamed rice.